← Ally Wragg Gold Medal Winner at Skills Canada Competition! Congratulations to Andrew Harris (8-1), Ananya Antony (8-2) and Daniel Penney (8-9) on placing 1st in their category at the School Heritage Fair on Thursday, March 26th. 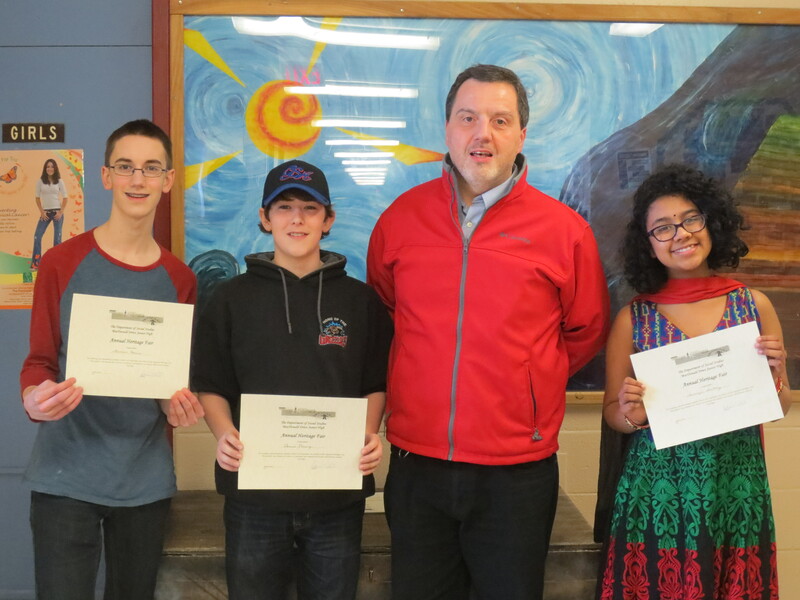 Ananya placed 1st in the Technology Category, Andrew had the winning English project while Daniel placed first in French Immersion. These three students will represent the school at the Regional Heritage Fair which will be held at Macdonald Drive Junior High May 1st-2nd. Congratulations to the winners and best of luck at the regional fair.